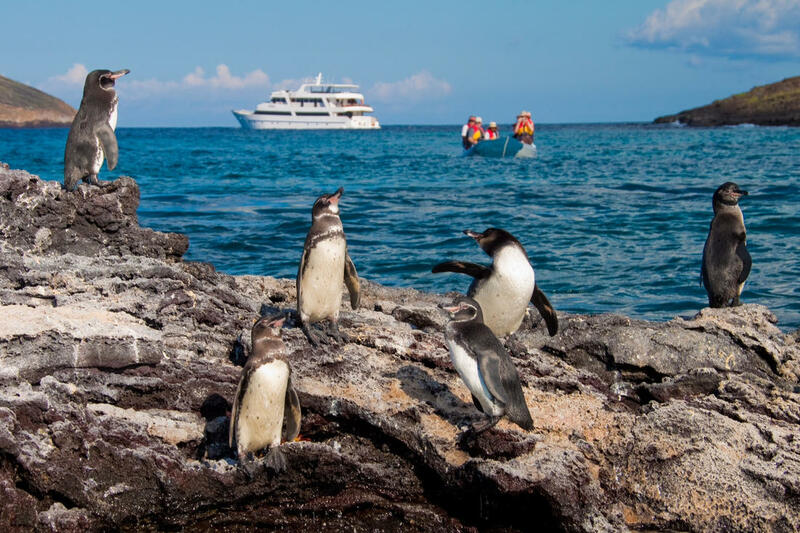 The Galapagos Islands can lay claim to be the greatest natural wildlife region on earth and every adventurer should plan to visit the region at least once in their lifetime. 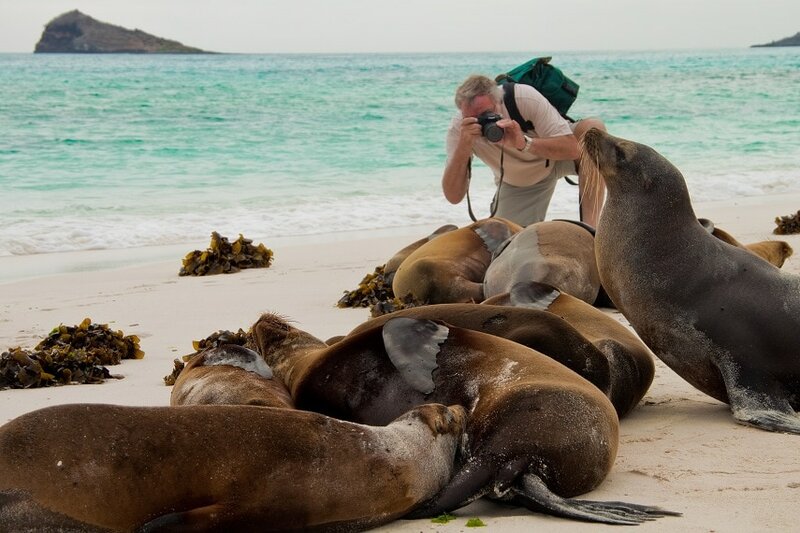 You go to the Galapagos not just to observe, but to immerse yourself in the wilderness. This can take the form of non intrusive hikes to snorkelling in crystal clear waters and cruising the shoreline in expedition boats with penguins and sea lions literally an arm’s length away. Three ocean currents overlap in the Galapagos region, bringing together a unique environment where the cold water wildlife combines with equatorial species. Unlike most expedition cruises, the Galapagos is not about taking in the local culture, but rather it is about exploring a region largely unspoilt by human interference. 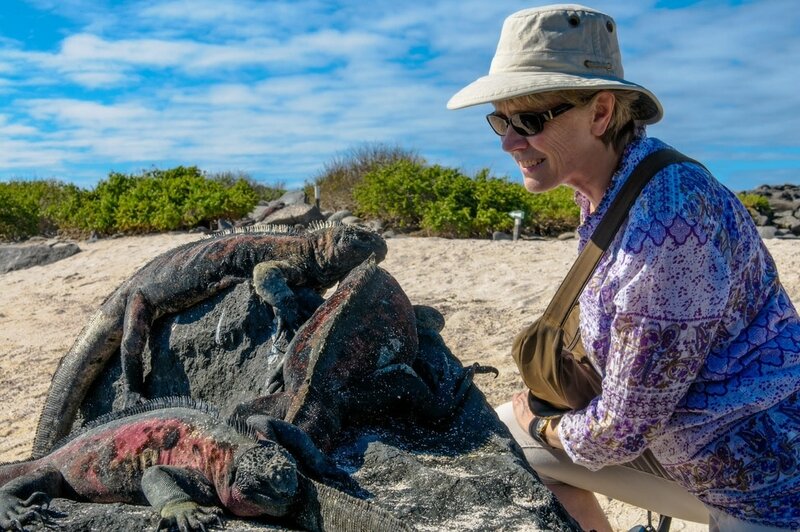 Tourists do stay on the Galapagos Islands in tourist facilities, but by far the best way to see it, experience it, live it, is on an expedition cruise. 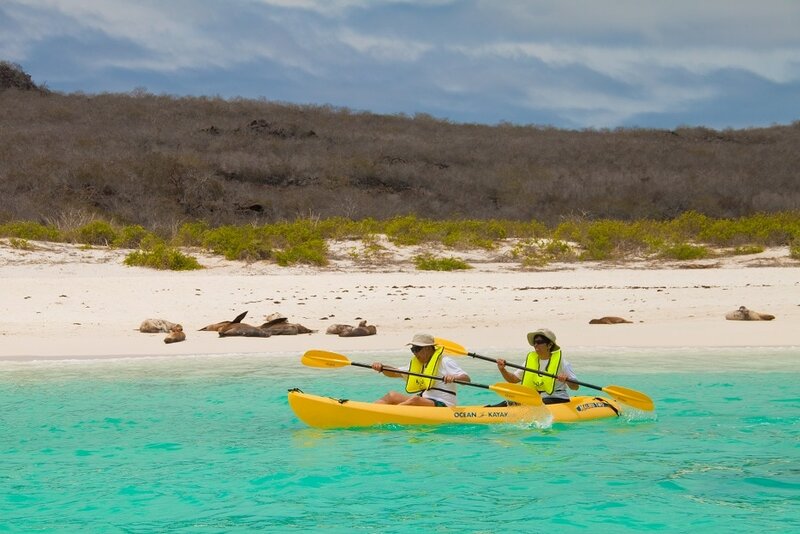 We have the Ecuadorians to thanks for the unspoilt Galapagos archipelago. While most third world countries don’t have the inclination or resources to protect wilderness regions, Ecuador was the stand out exception. They have always jealously guarded their unique region of volcanic islands located 1000 km west in the Pacific Ocean. In 1934 most of the region was declared a wildlife sanctuary and in 1959, the uninhabited areas became a national park. In 1978, they were included on the first list of World Heritage sites and ever since there has been a constant battle to control visitor numbers to the region, reduce the effect of human visitation to the islands and stop illegal activities such as fishing and shark finning. The area was listed as being in danger of being lost at one stage as visitor numbers surged and tour operators pushed for more and more people to be allowed ashore. The problem seems to be easing and the Galapagos is once again safe from massive intrusion. Charles Darwin visited the region on the Beagle in 1835 and what captured his imagination was the fact that all the islands were of similar geographical composition, but each island had developed its own unique species. He realised that the species on each island had to develop in accordance with it the island’s microenvironment and unique diet. Many years later this became the basis of his world changing book titled On the Origin of the Species which he released in 1859 to worldwide acclaim and derision. 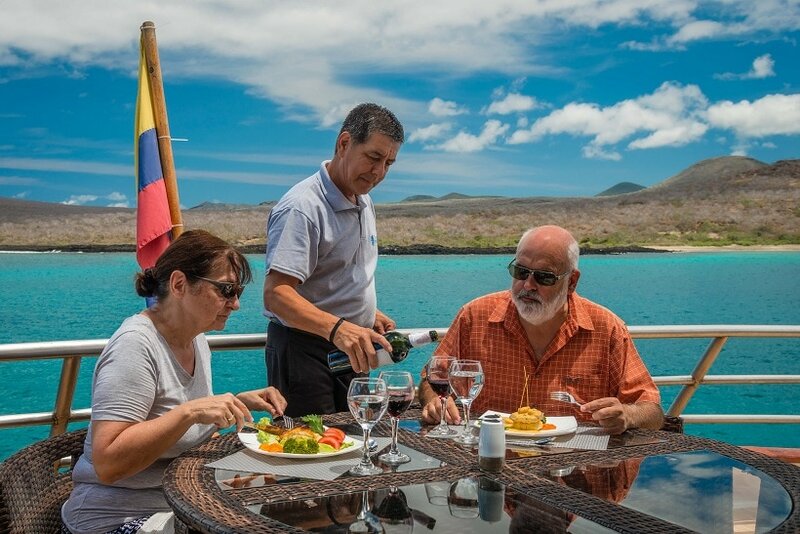 The selection is the result of the vast experience of the company’s expedition experts and features the very best expeditions and cruise ships available in the Galapagos. If you check out the various itineraries, you will be stunned by the variety of experiences available. 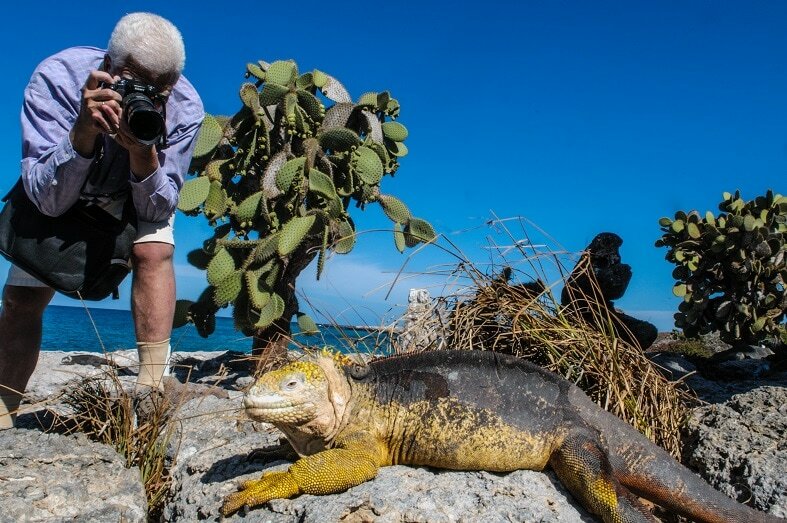 Land based and marine iguanas with their stunning colours and giant tortoises are the immediately recognisable wildlife symbols of the region. But when you include penguins, sea lions, sharks, birds, flightless cormorants, turtles and sun fish you realise what an amazing destination the island region provides. The selection of vessels available ranges from a 16 passenger luxury boat up to larger 48 passenger boats, allowing you the space to enjoy the islands in a small group.